When you live with your significant other, sometimes he can feel more like a roommate than a lover. As you settle in for another night in front of the TV with your partner, you may long for the days when you first started dating and couldn’t get enough of each other. Lately, it seems that your quality time spent together involves doing laundry and watching TV. Even cooking together is no longer a thing as you reach for another frozen pizza in the freezer. How can you two find a way to reconnect and spend some quality time together? 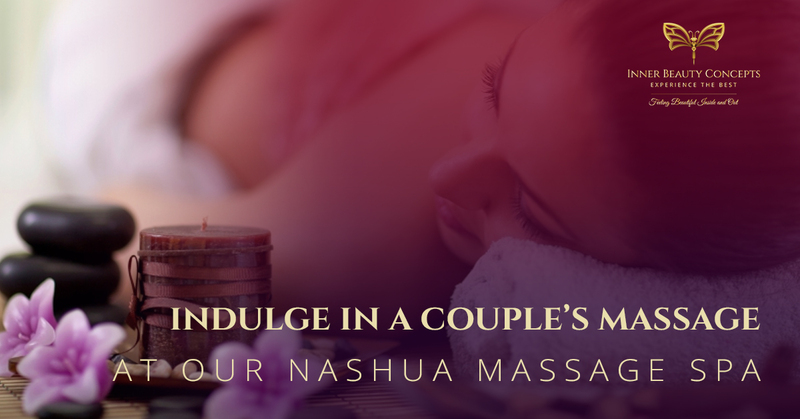 You could try partaking in a couple’s massage at our massage spa in Nashua. After discussing bills, household chores, and the other mundane details involved with living together, you may want to spend time with your better half without talking. A couple’s massage is perfect for relaxing together, creating a bond that requires no talking at all. From time to time, life is crazy for all of us. Stress can impact couples in negative ways, so why not get a massage together? During a massage therapy session, you will both feel your troubles melt away. Sitting or standing all day can result in sore, achy muscles. Typing on a computer can create tension in your neck and shoulders, and you both might be feeling sore from working. Therapeutic massage can help release the tension in your muscles, making you feel like a new person. If both of you have a relaxed body and mind, you can enjoy each other’s company even more. Recently, a study at the Cedars-Sinai Medical Center in Los Angeles found that a 45 minute massage increased the levels of oxytocin. Oxytocin is the feel-good hormone that is also referred to as the “love hormone” or “bonding hormone.” When your oxytocin is flowing, you and your partner will feel cuddly and affectionate, which encourages bonding and feels so good. Couples massage takes place in a room large enough to hold two massage tables at the same time. Working side by side, two different massage therapist will use a variety of different techniques such as Swedish massage, deep tissue massage, trigger point, and more. At Inner Beauty Concepts, we offer couples massages for one hour, one hour and 15 minutes, and one and a half hours. If you would like to add a little extra ambiance to your couple’s massage, you could try a hot or cold stone massage. If aromatherapy is your thing, we can add aromatherapeutic essential oils to your massage. 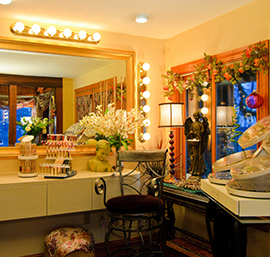 Our massage spa in Nashua features a variety of wonderful amenities. Not only do we have large massage rooms, but our tables are spacious as well. 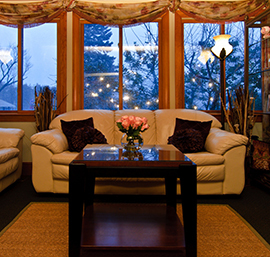 The quiet, peaceful environment of each room is enhanced by candle lighting and soft music. Are you and your loved one ready to experience an amazing spa treatment together? Contact Inner Beauty Concepts today to book an appointment.